A variety of unique adventures await your youngsters and teens as the 2016 Spring/Summer Pyramid Kid’s Camps kick off for the season! These interactive day camps give children the opportunity to become explorers and learn about wildlife and conservation at Moody Gardens. 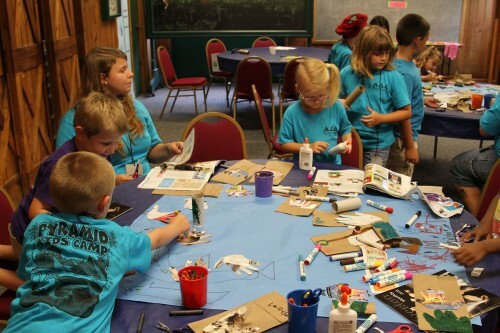 For nearly 20 years, the Moody Gardens Education Department has continued to create interesting and engaging camps in which children are taught about the amazing worlds of oceans, rainforests and much more. Come and observe animal behavior from the various exhibits and participate in interactive stories, crafts and games. Reservations are required at least two weeks in advance. For additional information or to register, please call 409-683-4325 or email education@moodygardens.com. Do y’all have any opening for 2 12 year old for the keeper for the day ? Please contact our camps coordinator at education@moodygardens.org regarding camp registration.